Diet-to-Go is known for providing healthy, gourmet meals that taste delicious, something that was confirmed when Epicurious rated Diet-to-Go No. 1 for taste in a blind taste test against competitors. In fact, Diet-to-Go has an entire team of chefs and nutritionists dedicated to making sure every meal is a rich culinary experience, something critical to ensuring dedication to a diet plan. 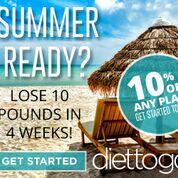 That’s why Diet-to-Go has no shortage of customers who have found success sticking with the plan, losing 10, 20, even 50 pounds or more in less than 6 months, just by eating Diet-to-Go meals. Diet-to-Go meals include an assortment of healthy, tasty foods that are prepared fresh and never frozen. Sticking with a Diet-to-Go program will get results for people who want to shed pounds, and the high-quality food makes it easy to stick with it. Diet-to-Go also wins the DietFoodDeliveryService.com best overall Diet Food Delivery Service. Diet-to-Go was founded in 1991 in the Washington, D.C. area with the goal of providing customers with healthy meals that were convenient and took the thinking out of losing weight. To this day, its staff is devoted to providing busy, on-the-go people with meals that not only help them lose weight, but taste good too, so that reaching weight loss goals is a cinch. From day one, meals were prepared with fresh ingredients, sourced locally, never frozen and with unique flavors that keep boredom at bay. The company has an entire team of nutritionists, health coaches and chefs dedicated to making sure the portion-controlled meals taste delicious and that each customer gets a customized plan that will help them reach their individual goals. The Balance Menu is calorie- and portion-controlled and offers heart-healthy foods that are carefully measured to ensure the proper amount of fat, cholesterol and sodium. Customers can order vegetarian and no-seafood options as well. Meals include chicken, turkey, tuna, meatballs and ravioli, plus whole grain pasta dishes. 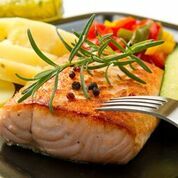 The Balance Diabetes Menu is specifically designed for people with pre- and Type 2 diabetes. It follows the American Diabetes Association’s nutritional guidelines, including controlling for the proper level of carbohydrates and fat. People can eat the meals to prevent diabetes and/or to manage their diabetes and its symptoms, including blood sugar levels. Meals include waffles, burritos, tuna melt-overs, salmon lasagna and more. The Carb30 Menu follows an Atkins-style low-carb diet plan, complete with meats, cheeses, eggs and other healthy fats. Meals are limited to an average of 30 net grams of carbs per day. Adding fruits, breads and other sugars is not recommended, which typically isn’t an issue given that the meals are packed with variety, such as frittata, steak, pork loin and meatballs. The Vegetarian Menu is heart-healthy and controlled for calories, carbs, sodium, fat and cholesterol. Protein sources include dairy, eggs, beans and soy. Meals include quesadillas, muffin, veggie burgers, quinoa salad, chili, shepherds pie and ravioli. Along with the variety, meals taste great, too. Epicurious ranked them No. 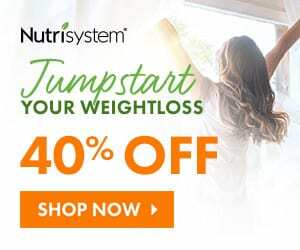 1 for taste, beating out Nutrisystem, Jenny Craig, Biggest Loser and other similar diet meal programs. Menus come on a five-week rotation to ensure variety. Customers can also customize menus based on their individual preferences on Diet-to-Go’s easy-to-use online portal myDiettogo. Diet-to-Go offers many convenient ways for customers to get their meals. They can be delivered anywhere in the continental U.S. The company also partners with fitness clubs in many major metros — including Washington, D.C., Baltimore, New Jersey, San Francisco and L.A. — where people can pick them up fresh twice a week. Diet-to-Go also recently launched fresh, same-day delivery. Because Diet-to-Go meals are controlled for portions and calories, both men and women can lose weight, typically 2 to 3 pounds per week, without exercise, just by sticking with the plan. What Foods Are Available on the Diet-to-Go Program? Diet-to-Go’s team of chefs and nutritionists prepare meals with the utmost care. Ingredients include fresh, lean meats, organic vegetables and whole grains, all sourced locally whenever possible. The USDA monitors all foods prepared at Diet-to-Go. Foods also adhere strictly to nutritional guidelines set by top health organizations, such as the American Heart Association, American Diabetes Association, American Cancer Society and others. Meals will arrive in separate packaging. Side items are also typically packaged separately. Portions in each meal are carefully measured, which also helps teach people about the proper amount of food they should be eating at each meal. Balance 1,200-Calorie Plan: This plan typically works best for women who want to lose weight quickly and naturally. Balance 1,600-Calorie Plan: This plan typically works best for men, or for athletes or people who are extremely active. The free diet analysis helps customers choose which calorie plan is right for them. Yes. Studies show that Diet-to-Go customers can expect to lose 1-2 pounds a week. The average customer loses 10 pounds in the first 30 days on the program. Besides providing healthy, convenient pre-portioned meals, Diet-to-Go’s on-staff health coaches work closely with customers to create a personalized weight loss plan. The company even shares real customer success stories to showcase just how easy the plan is. How Much Does Diet-to-Go Cost? Diet to Go is the most affordable home food delivery service provider and it offers the best price per meal. This is another reason that its diet plans have a mass appeal and a wider customer base. The three types of menus offer a wide variety of meals to choose from. For each menu, there are separate scrumptious items for breakfast, lunch and dinner. This diet meal delivery service can be apt for your weight loss and dieting routine because it provides calorie restricted meals. Frozen food technology is used by the Diet to Go which preserves nutrition in food. There are two different types of diet plans for men and women to suit their weight loss plans. This delivery service has been ranked at the top for its food quality and taste. Diet-to-Go makes healthy, convenient eating affordable. The Balance plan offers a 1,200 calorie plan for women and 1,600 calorie plan for men. Most meals on the 5-Day 1,200-calorie plan cost around $9.50/meal, which is cheap compared to the average cost most people spend eating out. According to the U.S. Bureau of Labor Statistics, the average individual spends $15 when ordering takeout for dinner. For the full, seven-day, three-meals-per-day plan, the cost would be $179.99 per week plus shipping. For the five-day meal plan, the cost is $143.59 per week. Balance plan meals on the Men’s 1,600-calorie plan cost around $9.50 – $10.00 per meal. The full, seven-day, three-meals-per-day plan cost is $198.99 per week, plus shipping. The five-day plan is just $151.99 per week. The Carb30 and Vegetarian plans cost about the same. Diet-to-Go meals are cooked fresh and shipped out twice weekly. Meals will arrive at customers’ doorsteps in a large cooler, packed with dry ice to ensure freshness. Diet-to-Go delivers anywhere in the continental U.S.
Diet-to-Go offers fresh pickup in the Washington D.C. metro area (including Northern Virginia and Suburban Maryland), Baltimore area, New Jersey, San Francisco Bay area (including East Bay) and the greater Los Angeles area. Fresh local pickup providers include Gold’s Gym, Walgreens, Every Body Fitness, and many, many more. The short answer? Delicious. Epicurious, Very Well, Next Advisor, CalorieLab and countless bloggers can’t be wrong. They all tried Diet-to-Go meals, and all had similar things to say: the food is packed with flavor, there’s plenty of variety and they taste delicious. Plus, Diet-to-Go meals can be heated in a microwave or oven with little to no effort, making them a great option for busy, on-the-go people. From its website, to customer service, to social media channels, Diet-to-Go makes ordering quick and simple. The quality of the meals, and the fact that menus can be customized, means it’s easy to stick with the program and for customers to eat healthy and meet their weight loss goals. I heard that Diet to Go might be offering a 20% off coupon for new customers beginning on Jan 1st. Any truth to this? I’ve been on the carb30 diet for several months. Love the food. It’s absolutely tasty. I’m not a big lover of microwaved meat or eggs, but it’s required since you get your meals a few days at a time. I have to say I was surprised by how delicious and moist the food is. My only challenge…and it is mine, is that I cheat. I lost 10 lbs initially staying in the plan. Then life gets busy and the holidays and vacations come, and I go to my favorite foods sweet carbs. I haven’t gained but haven’t lost either. Need to start using their counselors. Well at least you’re maintaining Stephanie. Sounds like the plan is working for you but the willpower is not quite there yet. I agree vacations and holidays can be a killer. Keep it up thought, you’re on track! You state on your website that Diet to Go is the least expensive meal program. I’ve searched around and found others that are less. I heard Diet to Go will be offering a 20% off coupon for the New Year. Any idea what the code is? That’s correct Gene! We have just posted the code today. Just ordered today and will report back after I try their meals. BTW – Thanks for the 15% off code! No problem, hope you enjoy their offerings and yes, please report back! Have you tried the Diet-to-Go home delivery menus? Please provide your comments below on your experience!